restoring vintage Soviet MFM Hard disk drives. Most famous of them, called SM5508 (? ?5508) used MC68705P3 chip. Most of Soviet MFM Hard Drives were just replicas of American units. Of course they all work with WD MFM cards. Same protocols and signals. Sometimes they even used western parts. You can see some pictures ot this page. Sorry but text is in Russian. 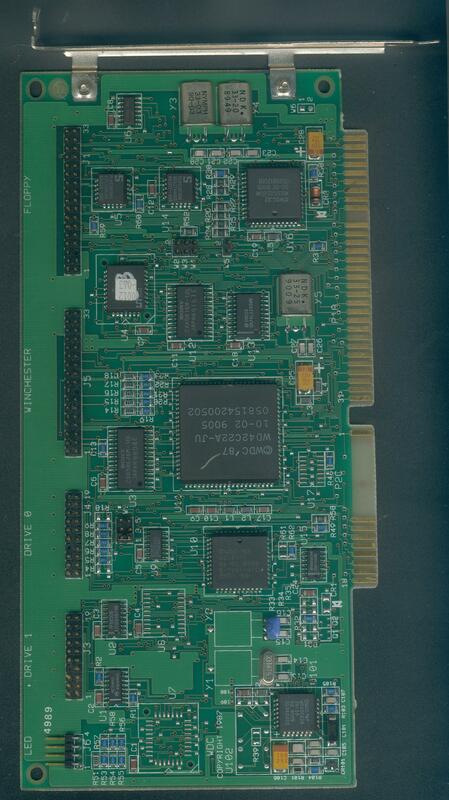 I use WDC WD-1003V-WA2 (full size 16 bit ISA board. old and slow) and WDC WD1003V-MM2 (newer smaller faster board). If you look forward for other information about this VS4800 eprom programmer cards, do not hesitate to contact me by e-mail at: matthieu.benoit@free.fr . Also if you have any data about this programmer, do not hesitate to contribute to this page. Si vous recherchez des informations pour ce programmateur VS4800, vous pouvez me contacter par e-mail : matthieu.benoit@free.fr . De même si vous avez des informations sur ce programmateur, n'hésitez pas à contribuer à cette page.